There was some snowfall for the Midwest and the West this past week. 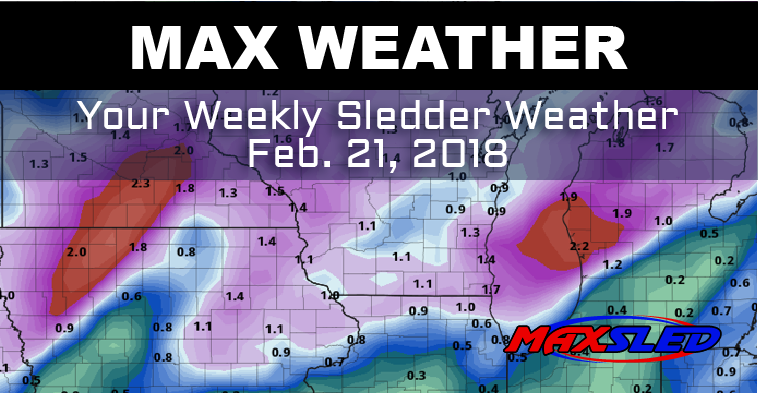 Higher elevations in the West received a fair amount of snow while the Midwest also received their share of snow with two significant systems that pushed through. Northeastern Minnesota, Northern Wisconsin and Upper Michigan received a lot of snow. Reports stated that around 7 inches fell from Sunday to Monday in Northeast Minnesota. 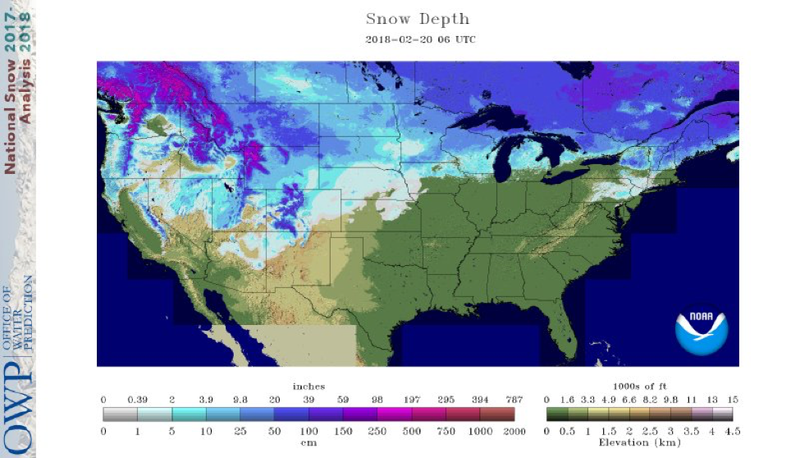 Updated Snow Depth Model 02/20/2018. With another warm up in the East, trails are a bit thin. Elevation and northern parts of New England still have a strong snow depth; however, they might have some watery spots. Montana and Wyoming temperatures stayed cool and new snow fall should provide good riding conditions. Beware of the avalanche danger that comes with the new snow in areas of elevation. 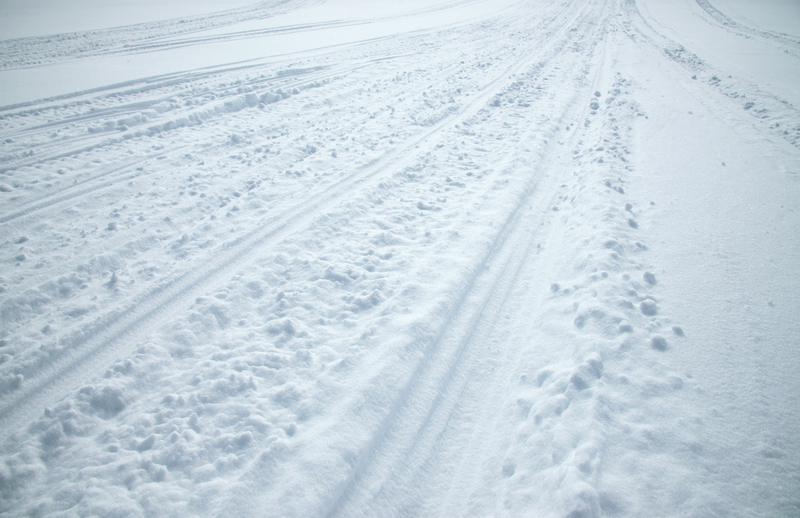 The northern Midwest also has a new layer of fresh snow that will improve the trails. Cool temperatures should be persistent throughout the week in the West and northern Midwest. Temperatures below freezing will allow the snow to stay for some great riding this weekend. The West should see some more light snow in higher elevations. Surface low forming in the Midwest will move into the East producing a significant amount of rain for the Central East and the Ohio Valley. 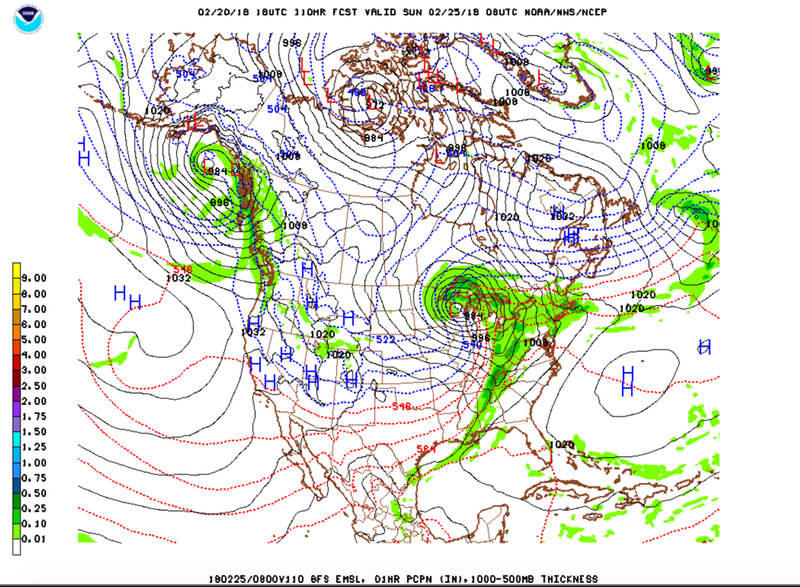 Optimistically, temperatures will fall enough in New England to produce only snow; but, we may be looking at a wintery mix into the weekend, which ultimately may make any water issues on the trails worse for the weekend.